Partisan gerrymandering has not been outlawed by federal or state law as of yet, though there is a North Carolina case pending at the nation’s highest court. That case deals with the state’s 2016 congressional map, not the legislative maps. Because the 2017 maps are being challenged in state court based on state constitutional claims, the U.S. Supreme Court likely would not have the final word – the state Supreme Court would. It’s an important distinction because court watchers have speculated the U.S. Supreme Court – with Justice Brett Kavanaugh now installed on the bench – will reject progressive calls to outlaw partisan gerrymandering. The state Supreme Court, however, just gained a justice who is both a registered Democrat and an avid defender of fair maps. Anita Earls was a prominent civil rights attorney before she was elected to replace incumbent Justice Barbara Jackson, who is a registered Republican. Earls’ election means the court will have a 5-2 Democratic majority, although justices and judges strive to not make decisions based on partisan affiliation (and more often than not, opinions show they don’t). 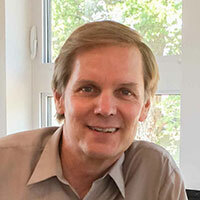 Common Cause North Carolina Executive Director Bob Phillips has long argued that partisan gerrymandering is not a partisan issue. His organization has been demanding fair maps and an independent redistricting process for decades. Republican Party Executive Director Dallas Woodhouse has criticized Democrats in the media for choosing to litigate over districts they won in last week’s election. Republican opponents of redistricting reform have also pointed to well-documented gerrymandering that took place when Democrats held sway in the General Assembly. Phillips does not dispute that Democrats did it, but he made clear it’s something he does not care for at all, regardless of the party trying to do it. Phillips, who’s been with Common Cause for the better part of 20 years, said the organization has always been an advocate for fair maps. It stood with Republicans when they championed redistricting reform when Democrats were in power. “We stand with anyone who is with us in the cause for fair maps in North Carolina,” Phillips said. He described redistricting reform as an insurance policy, ensuring that neither political party could manipulate the maps to entrench itself. Reform, he said, would also be a chance to create a legislature that was actually reflective of North Carolina, a politically competitive “purple” state. His criticism of both parties was sharp, recalling that Democrats “knew the storm was coming” and still didn’t approve reform when they the legislature and the Governor’s mansion in 2010. The Republican-led General Assembly was forced to redraw legislative maps last year after they were ruled unconstitutionally gerrymandered based on race. They employed the same mapmaker who gerrymandered the original maps, the late Tom Hofeller, to redraw them again, but critics say this time, he employed partisan gerrymandering tactics instead of racial ones. The lawsuit seeks to change that probability. It asks the court to require new, fair state House and state Senate maps for the 2020 elections. The National Redistricting Foundation will be supporting the legal fees of Arnold & Porter, Perkins Coie, and Poyner Spruill as counsel for Common Cause and the voter plaintiffs in the lawsuit. Some of the attorneys involved in the current lawsuit, including prominent Democratic lawyer Marc Elias, were also involved in a successful partisan gerrymandering lawsuit in Pennsylvania. The Pennsylvania Supreme Court ruled in that case that gerrymandered congressional districts drawn to favor Republicans violated the “free and equal” Elections Clause of the state constitution. It was appealed to the U.S. Supreme Court, but justices declined to take up the state’s claims, which left the lower court’s opinion intact. 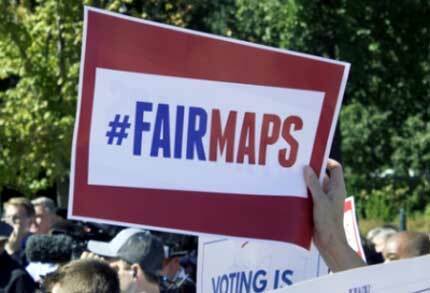 Fair map proponents are hoping for a similar outcome in North Carolina. The lawsuit, directed at GOP legislative leaders and the State Board of Elections and Ethics Enforcement and its members, details challenges to each alleged gerrymandered district. Defendants have not yet filed a response in court. The next step in the process will be the appointment of a three-judge Superior Court panel. Phillips said he hopes the case will be decided by next fall.